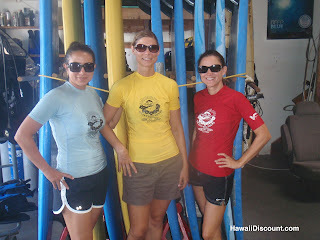 On our last day in Kona the Hawaii Tours Traveling Trio couldn’t resist hitting the waves again. 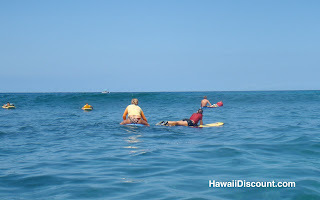 We enjoyed our Hawaii Surf Lessons on Oahu so much that we wanted to try surfing in Hawaii one more time! This time we tried Surfing in Kona! 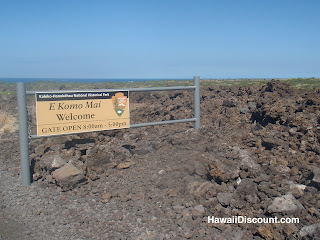 We went to Honolohau Harbor to the Ocean Eco Tours shop for check in. It was located a few doors down from the check in for our Captain Zodiac tour. Bridgette greeted us and from the moment we met her we knew this was going to be a fun surf lesson! 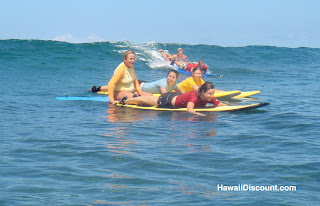 Ocean Eco Tours specializes in beginners so we knew we were at the right place for our Surfing in Kona lesson! 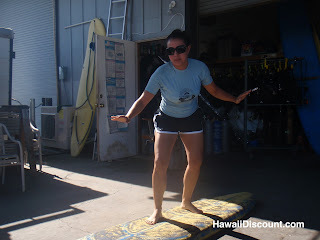 We had a surf lesson behind the shop to go over the fundamentals of paddling and standing up on the surfboard. 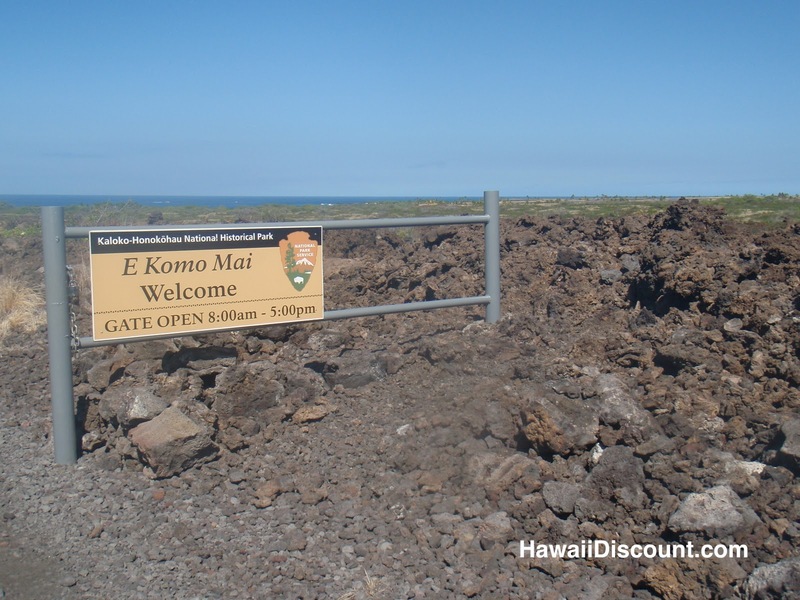 They packed up our surfboards and we headed to Kaloko-Honokohau National Historical Park. Ocean Eco Adventures has partnered with the Park Service and was awarded the first surf permit to work within this National Park. 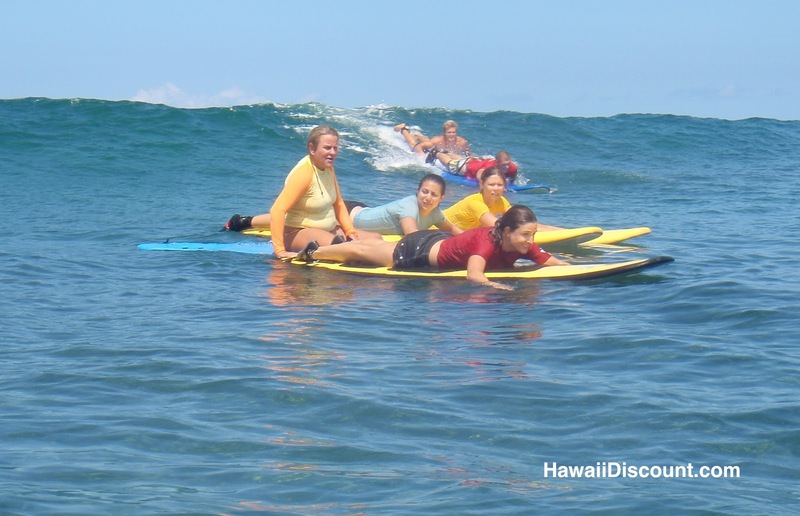 When there is no surf at Kahaluu, Ocean Eco Adventures always has the option to surf Honokohau National Park. We had to carry our surfboards down a path to the ocean. 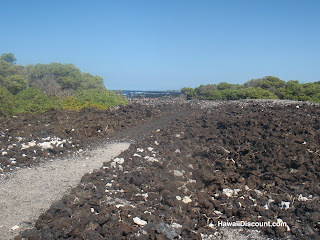 It was such a sight to be walking on lava rock. The crystal clear ocean as a backdrop for the black lava rock was breathtaking! The pressure was on! This was our last chance to conquer the waves! We were ready for Kona Surfing! The waves were bigger than the ones we surfed on Oahu. Bridgette coached us and helped us catch the right waves at the right times. We learned how the waves came in sets so we waited patiently for the next set. SaiFon from Yoga Hale in Kona was also surfing with us and she taught me how to flip the board over and go under the big waves. She also helped me choose the best waves to surf. D’jibia catching another wave! Watch out Kelly Slater! We had a great morning surfing with Ocean Eco Tours of Kona Hawaii! It was like going out with your best friends to surf. They were so much fun and we learned a lot. Surfing in Kona was a different experience than surfing in Waikiki. Heather said it was “definitely worth it to surf on both Oahu and the Big Island. 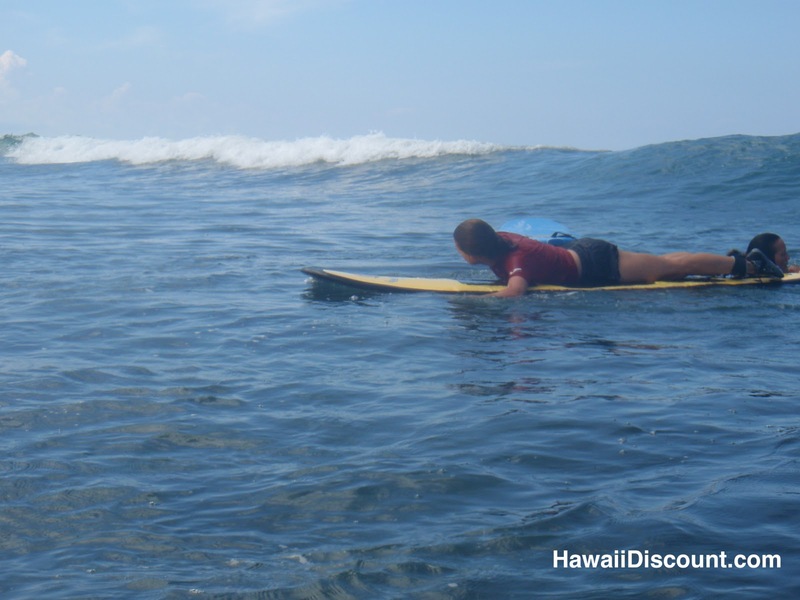 Totally different experiences and both were awesome!” The waves were bigger in Kona that day which made surfing a bit easier. Of course it was our second lesson so while we still had our fair share of wipeouts we were able to get up and surf more waves. Bridgette was a patient and determined surf instructor who made sure everyone got up and surfed. 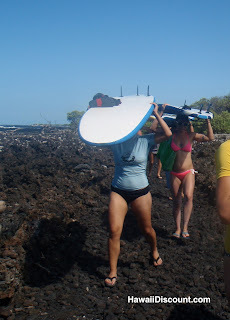 I highly recommend surfing in Kona with Ocean Eco Tours. 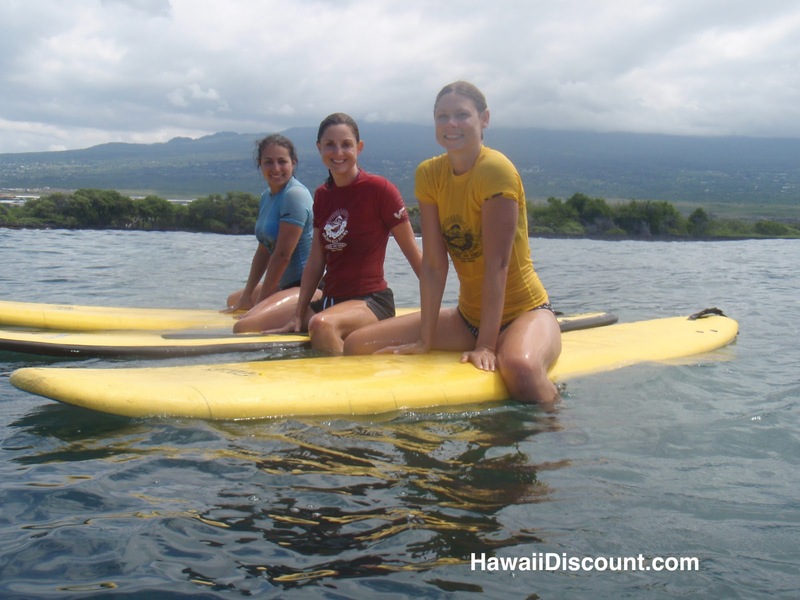 Ocean Eco Tours has been Kona’s #1 Surfing School since 1996! 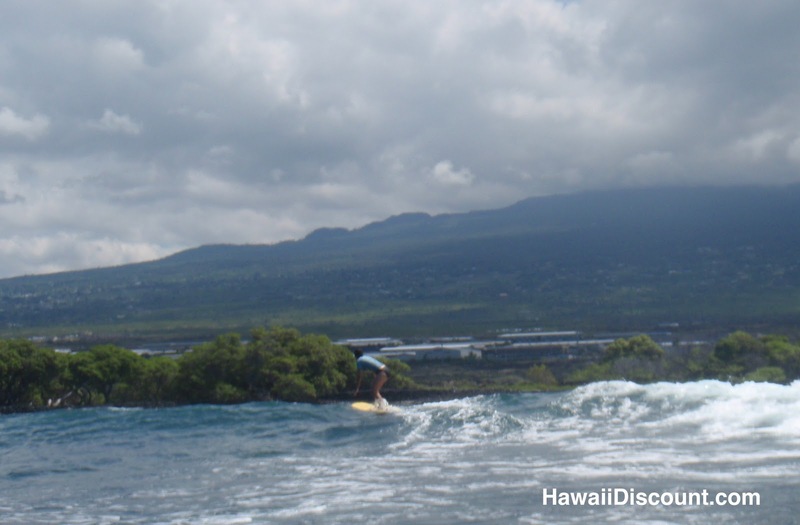 Where do you like to surf on the Big Island? 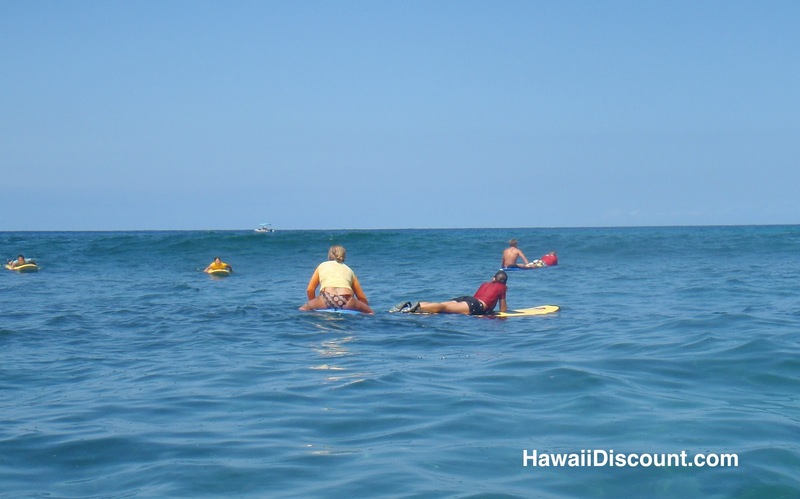 This entry was posted in Big Island Tours and tagged Big Island, Hawaii Surf Lessons, Honokohau National Park, Honolohau Harbor, Ocean Eco Tours, Traveling Trio. Bookmark the permalink.